Worldwide, there is a well-documented crisis for bees and other pollinators which represent a fundamental biotic capital for wild life conservation, ecosystem function, and crop production. Among all pollinators of the world, bees constitute the major group in species number and importance, followed by hover flies. The Aegean Archipelago constitutes one of the world’s hotspots for wild bee and other pollinator diversity including flies (mainly hover flies and bee flies), beetles, and butterflies. Despite this advantage, our present knowledge on Greek pollinators is poor, due to a lack of focused and systematic research, absence of relevant taxonomic keys, and a general lack of taxonomic experts in the country. As a result, assessments of pollinator loss cannot be carried out and the causes for the potential pollinator loss in the country remain unknown. Consequently, the desperately needed National Red Data list for pollinators cannot be compiled. 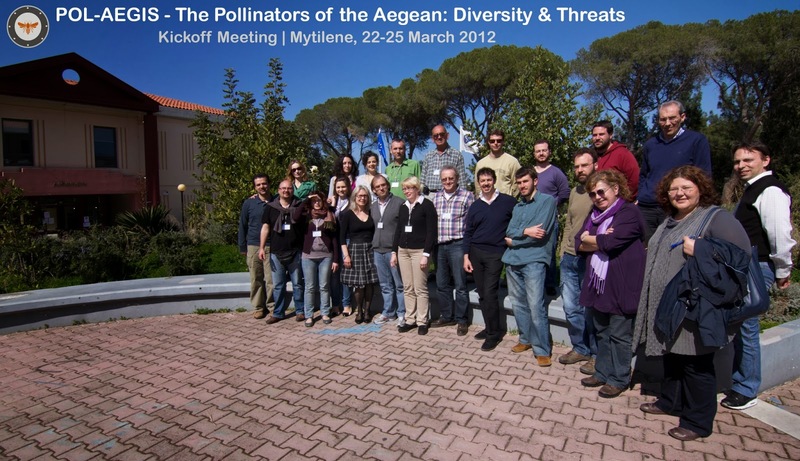 This new research (2012–2015) aims to contribute to the knowledge of the pollinator diversity in Greece, the threats pollinators face, as well as the impacts these threats may have on pollination services. The research is conducted in the Aegean Archipelago on >20 islands and several mainland sites in Greece and Turkey. Prime goals are (1) the assessment of bee and hover fly diversity (species, genetic), (2) their pollination services, and (3) the effects of climate change, grazing, intensive bee-keeping, fires, electromagnetic radiation on bee diversity and ecology, as well as on plant–pollinator networks. 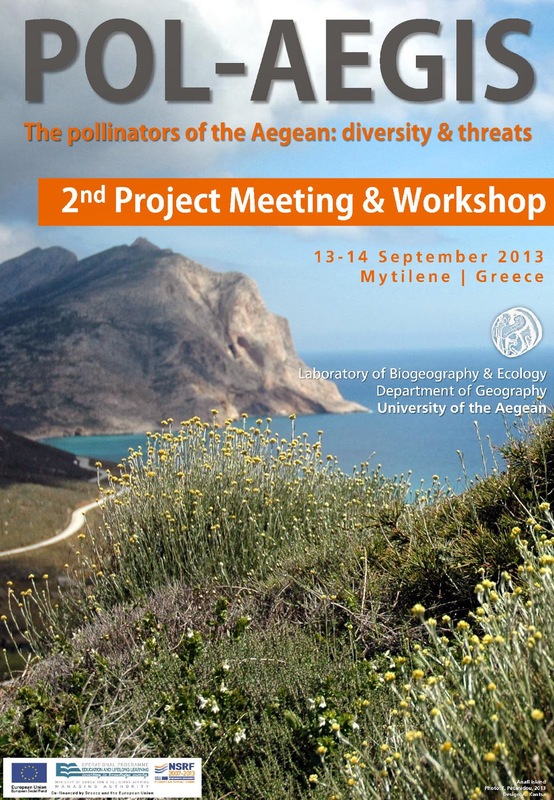 At the same time, this research contributes to the taxonomic capital in Greece and the Eastern Mediterranean, focusing on the creation of the first identification keys for pollinators, the training of new scientists, as well as the enrichment and further development of the Melissotheque of the Aegean, a permanent reference collection of insect pollinators established at the University of the Aegean. Radenkovic S., Šašić L., Djan M., Obreht Vidaković D., Ačanski J., Ståhls G., Veličković N., Markov Z., Petanidou T., Kočiš Tubić N., Vujić A.. Cryptic speciation in the Merodon luteomaculatus complex (Diptera: Syrphidae) from the Eastern Mediterranean. Zoological Systematics and Evolutionary Research 56(2): 170-191. Petanidou T., Kallimanis A.S., Tscheulin T., Devalez J., Stefanaki A., Ηanlidou E., Vujić A., Lazarina M., Kaloveloni A., Sgardelis S.P. 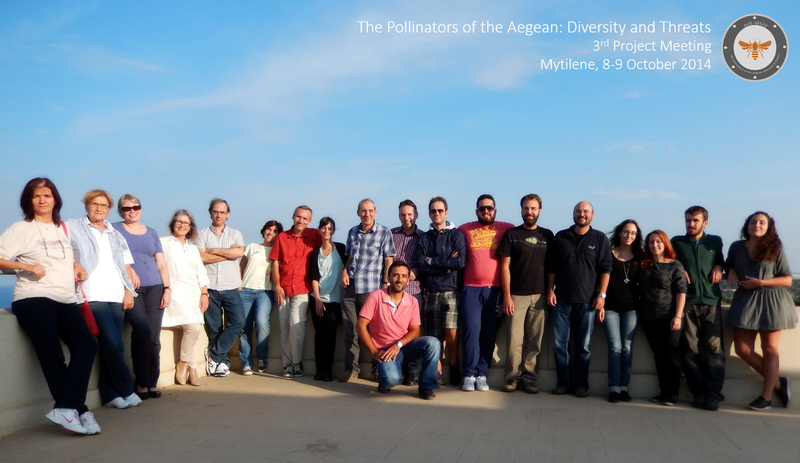 Climate drives plant–pollinator interactions even along small-scale climate gradients: the case of the Aegean. Plant Biology 20(S1): 176-183. Neokosmidis L., ,Tscheulin, T., Devalez, J., Petanidou, T. 2016. Landscape spatial configuration is a key driver of wild bee demographics. Insect Science 25(1): 172-182. Goras, G., Tananaki, C., Dimou, M., Tscheulin, T., Petanidou, T., Thrasyvoulou, A. 2016. Impact of honeybee (Apis mellifera L.) density on wild bee foraging behaviour. Journal of Apicultural Science 6(1): 49-61. Chroni, A., Djan, M., Obreht-Vidakovic, D., Petanidou, T., Vujic, A. 2016. Molecular species delimitation in the genus Eumerus (Diptera: Syrphidae). Bulletin of Entomological Research 107(1): 126-138. Lázaro, A., A. Chroni, T. Tscheulin, J. Devalez, C. Matsoukas, and T. Petanidou. 2016. Electromagnetic radiation of mobile telecommunication antennas affects the abundance and composition of wild pollinators. Journal of Insect Conservation 20(2): 315-324. Takkis, K., Tscheulin, T., Tsalkatis, P., Petanidou, T. 2015. Climate change reduces nectar secretion in two common Mediterranean plants. AoB Plants, plv111. Vujić, A., T. Petanidou, T. Tscheulin, P. Cardoso, S. Radenković, G. Ståhls, Ž. Baturan, G. Mijatović, S. Rojo, C. Pérez-Bañón, J. Devalez, A. Andrić, S. Jovičić, D. Krašić, Z. Markov, D. Radišić, and G. Tataris. 2016. Biogeographical patterns of the genus Merodon Meigen, 1803 (Diptera: Syrphidae) in islands of the eastern Mediterranean and adjacent mainland. Insect Conservation and Diversity 9(3): 181-191. Stefanaki A, Kantsa A, Tscheulin T, Charitonidou M, Petanidou T. Lessons from Red Data Books: Plant vulnerability increases with floral complexity. PLOS ONE, 10(9): e0138414. Kaloveloni, A., T. Tscheulin, A. Vujić, S. Radenković, and T. Petanidou 2015. Winners and losers of climate change for the genus Merodon (Diptera: Syrphidae) across the Balkan Peninsula. Ecological Modelling 313:201-211. Petanidou T., Kallimanis A.S., Sgardelis S.P., Mazaris A.D., Pantis J.D., Waser N.M. 2014. Variable flowering phenology and pollinator use in a community suggest future phenological mismatch. Acta Oecologica 59:104-111. Petanidou T., Ståhls G., Vujić A., Olesen J.M., Rojo S., Thrasyvoulou A., Sgardelis S., Kallimanis A.S., Kokkini S., Tscheulin T. 2013. 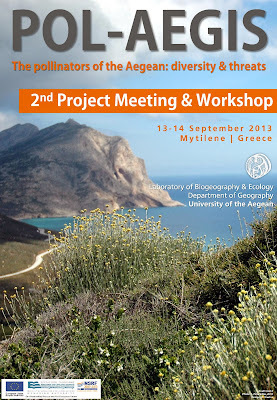 Investigating Plant–Pollinator Relationships in the Aegean: the approaches of the project POL-AEGIS (The Pollinators of the Aegean Archipelago: Diversity and Threats). Journal of Apicultural Research 52(2): 106-117. This research is co-financed by the European Union (European Social Fund – ESF) and Greek national funds through the Operational Program "Education and Lifelong Learning" of the National Strategic Reference Framework (NSRF) - Research Funding Program: THALES. Investing in knowledge society through the European Social Fund.